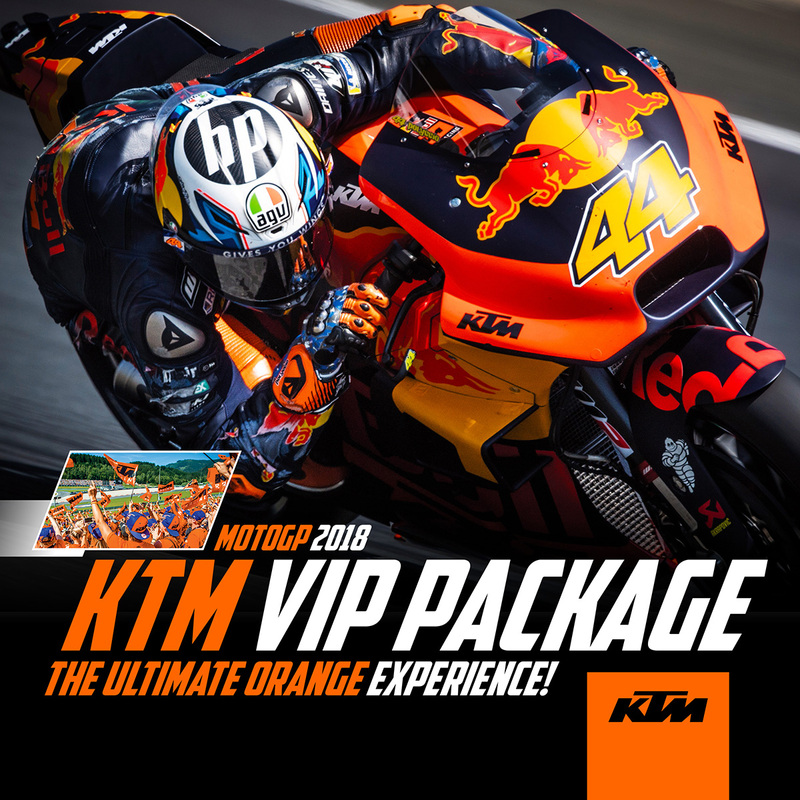 Take part in the ultimate ORANGE experience, with a 3-Day KTM VIP Package at the MICHELIN® AUSTRALIAN MOTORCYCLE GRAND PRIX, from October 26th – 28th 2018. » 3-DAY PADDOCK PASS – – Offering full access for the ultimate behind-the-scenes experience. See the team garages and riders up-close and personal, with three days of unlimited access to this exclusive area of the circuit! Limited tickets available. Get READY TO RACE - join us at MotoGP this October. Full payment is required at time of booking. KTM VIP Package tickets are non-refundable.